This is totally a social welfare website . From a very long time i was wondering to do some social work. I was confused what type of work i should do. 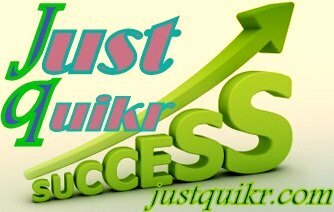 As the time passed i came up with this website “www.justquikr.com“. This site will provide everyone all Government jobs updates , Basic English grammar (Relevant to competition) , General awareness/ knowledge points (As per competition). With the passage of time ” justquikr.com” will be available with all regular updates. For any special request and recommendation please contact us. Join us on facebook for regular notifications on facebook.